I am overwhelmed with the amount of music I have slated to review but haven’t been able to get to, but I would regret it immensley if I didn’t touch on the talent that can be found on this Arts and Crafs EP. I have been sitting on this project for at least four weeks. It was presented by the good folks at DotGoIt and picked it up just to see what it was about . What it is, is creative hip hop. Crafsmen hails from Roanoke, Virginia. Not exactly the hotbed for unsigned hype but hip hop really has moved forward from your typical hip hop arenas and finds itself integrating in all types of locales. This is a case in point. On the joint, Split Second Thoughts, you have this really dope track that has Lucy Freedom playing the pied piper as she lends her talents on the flute. The nuance that I picked up on was that more than flipping on the beat it seemed that Crafsmen was just flowing on top of the flute notes. The two components really played off each other to create a unique vibe. The bonus is that you really get to focus on the exceptional lyricism. I talked about Crafsmen as an emcee but he also produced half of this EP which really just lends to his credibility that much more because the beats are all on point. 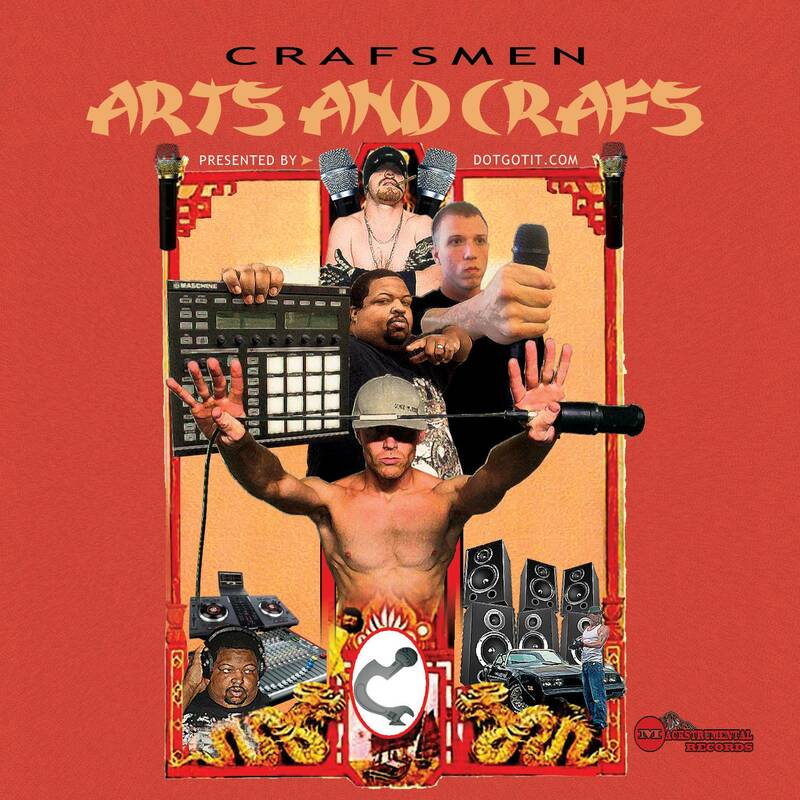 Arts and Crafs merits your consideration for it’s lyrical prowess alone. Please give this one a shot. I think you will be impressed. Great review of Roanoke’s finest!